Picture taken at 6 days old. 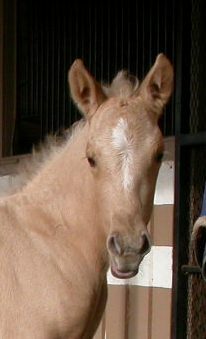 A beautiful palomino colt with super bloodlines! A future herd sire for the color breeder looking for top bloodlines with a designer color. There are not many palomino colts with this pedigree!